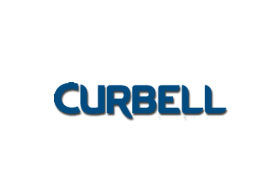 Terms and Condition: CURBELL MEDICAL PRODUCTS, INC.
1. General: In these general terms and conditions of sale (including any appearing on the reverse side) (the “Terms”), Curbell Medical Products, Inc. is referred to as “Seller”, the party to whom Seller’s quotation or invoice is addressed is referred to as “Buyer”, and Seller and Buyer are collectively referred to as the “Parties” and each individually as a “Party”. All sales of Seller to Buyer are subject to these Terms. Any purchase order or other communication from Buyer that contains terms and conditions in addition to or inconsistent with these Terms will not be binding upon Seller, unless acceptance of those terms and conditions is made in writing by an authorized representative of Seller. 2. Quotations; Acceptance of Orders: Written quotations automatically expire 30 days after the date issued unless otherwise specified in the quotation. A verbal quotation expires on the day that it was made. All quotations are subject to these Terms and to Seller’s written order acknowledgment. Orders become effective only when accepted by Seller’s written order acknowledgment. 3. Prices: This invoice supersedes all previous quotations and proposals. Unless stated otherwise, pricing errors are subject to change and prices do not include any applicable (a) property, sales, use, privilege or export taxes, custom duties or any other tax, fee or charge of any nature whatsoever imposed by any government authority on or measured by any transaction between the Parties or (b) transportation costs. 4. Payment: Terms of payment are the net amount of the invoice in United State currency within 30 days after the date of the invoice. A late payment charge of one and one-half percent (1.5%) of the amount of the invoice may be charged for each month, or any portion thereof, that payment is not made within thirty (30) days of the date of the invoice. 5. Shipment; Shortages; Delay; Risk of Loss: Shipment dates are estimated and Seller will not be liable for late shipments. If shipping and handling must be prepaid, payment will be made for the account of Buyer. Shipping and handling charge includes costs associated with processing, handling, packaging and delivering the order to Buyer and/or the recipient designated by Buyer. In the event that buyer utilizes a third party shipping service or ships on their own shipping account, Seller may nevertheless charge Buyer a handling charge related to the reasonable costs of processing and packaging their order. Seller may make delivery installments, separately invoiced and payable without regard to subsequent deliveries. Delay in delivery of any installment will not relieve Buyer of its obligations to accept the initial or any remaining installments. If shipments are delayed by Buyer, invoices may be rendered on the dates Seller is prepared to make shipments. If completion of manufacture is delayed by Buyer, invoices may be rendered when delay is ascertained, based upon percentage of completion. Products will be shipped f.o.b. point of origin, with all risk of loss or damage to products passing to Buyer upon delivery to carrier; provided, however, that products held by Seller as a result of Buyer’s inability or refusal to accept delivery will be held at Buyer’s risk, cost and expense. Any claim for shortage must be reported to Seller within 30 days after receipt of products or Buyer waives any claim for shortages. 6. Force Majeure: Seller will not be liable for any delay or failure in performance of any order, in the delivery or shipment of any product or for any damages or losses suffered by Buyer or any third party which are caused by, or in any manner arise from, directly or indirectly, any labor disturbances, embargos, riots, storms, fires, explosions, acts of God or public enemies, inability to obtain necessary labor or raw materials, accidents or breakdown to, or mechanical failure of, machinery or equipment, changes in economic conditions, delays or interruptions in transportation or any other causes beyond Seller’s control. In the event of such delay, the applicable shipment date(s) will be postponed to compensate for such delay. If Seller’s performance is rendered permanently impossible or impracticable, either Party may cancel the affected order(s) upon written notice to the other Party, and, upon such cancellation, Seller will have no liability and Buyer will be liable only for the pro-rated or allocated portion of such order(s) completed, including without limitation all inventory and supplies not returnable for full credit or otherwise useable by Seller. 7. Seller’s Limited Warranty: Unless otherwise stated in the limited warranty contained in literature that is shipped with any product (in which case such product literature limited warranty will in all respects apply), Seller warrants to Buyer that the products sold by Seller to Buyer will be free from defects in workmanship and materials under normal use for a period of two years after the date of the applicable invoice for pillow speakers and for a period of one year after the date of the applicable invoice for all other products manufactured or distributed by Seller. Upon the return of the defective product, shipping prepaid, by Buyer to Seller at 20 Centre Dr., Orchard Park, NY 14127, Seller will, at its sole option, repair or replace the defective product or refund the purchase price. Any defective product that is repaired or replaced is warranted only for the balance of the initial warranty period. Notwithstanding the foregoing, Seller does not warrant, and such limited warranty will be null and void, if the product fails to perform or is defective because of accident, casualty, misuse, abuse, fire, alteration, liquid damage, lightening, Act of God or public enemy, vandalism, tampering or because of improper setup, operation, repair, maintenance, testing or unauthorized service. THIS LIMITED WARRANTY IS MADE IN LIEU OF ALL OTHER WARRANTIES, EXPRESS OR IMPLIED, INCLUDING WITHOUT LIMITATION WARRANTIES OF MERCHANTABILITY OR FITNESS FOR A PARTICULAR PURPOSE. 8. Returns: All returns must be processed within 60 days of delivery date and are subject to a 25% restocking fee. Product must be in new, resalable condition, and in the original packaging. Custom-made items are non-returnable. Customer Product Acceptance is required prior to initial shipment. Contact Customer Service at 1-800-235-7500 and ask for a return authorization number (RMA#). Enclose this RMA# with the item, print the RMA# on the outside of the package and return it to: Curbell Medical Products, 20 Centre Drive, Orchard Park, NY 14127. 9. Limitation of Liability; Exclusion of Damages: Seller’s liability with respect to any claim by Buyer or any third party arising out of or in any way relating to any product sold by Seller to Buyer (including without limitation such product’s sale, use or transportation) will be limited solely to the cost of such product and any such claim must be filed within 60 days after the delivery of such product. SELLER WILL NOT BE LIABLE TO BUYER OR TO ANY THIRD PARTY FOR ANY CONSEQUENTIAL, INCIDENTAL, SPECIAL OR INDIRECT DAMAGES, LOST PROFITS OR OTHER LOSSES OF BUYER OR ANY THIRD PARTY ARISING OUT OF OR IN ANY WAY RELATING TO THE SALE, USE OR TRANSPORTATION OF SUCH PRODUCT. 10. Confidential Information: Seller’s technical, trade secret, proprietary or similar information contained in plans, drawings, specifications, photographs and other documents (collectively, “Confidential Information”) disclosed or furnished by Seller to Buyer or its officers, directors, employees or agents (collectively, “Representatives”) and all copies thereof, including without limitation any and all materials of any kind containing or embodying any Confidential Information, are the sole and exclusive property of Seller. Disclosure of Confidential Information by Seller to Buyer or its Representatives will not be construed as granting to Buyer or its Representatives either expressly or by implication, any right, title or interest of any kind in any Confidential Information. Upon Seller’s request, Buyer will promptly deliver to Seller all of the Confidential Information in Buyer’s possession or under Buyer’s control (including without limitation Confidential Information in the possession or under the control of any of Buyer’s Representatives), whether in written, electronically-readable or other form, including without limitation all copies or extracts thereof or based thereon. All Confidential Information will be kept confidential by Buyer and will not be disclosed to any person or entity without Seller’s prior written consent, except that Buyer may disclose the Confidential Information or portions thereof to those of its Representatives who reasonably need to know such information for legitimate business reasons; provided, however, that Buyer will be responsible for any breach of this covenant by it or any of its Representatives and will indemnify and hold harmless Seller and its officers, directors, employees and agents (collectively, the “Seller Indemnified Parties”) for any costs, expenses or losses incurred or suffered by any of them as a result of such breach. Buyer (a) acknowledges that a failure to comply with this Section 9 will cause Seller irreparable harm and that a remedy at law for such a failure would be an inadequate remedy for Seller and (b) consents to Seller’s obtaining from a court having jurisdiction, specific performance, an injunction, a restraining order or other equitable relief in order to enforce such provision. Seller’s right to seek and obtain any such relief is in addition to, and not in lieu of, any other remedy to which it is entitled under applicable law (including without limitation monetary damages). 11. Default: If Buyer (a) fails to pay all or any part of any invoice when due, (b) fails to observe or perform any of its other obligations under these Terms or (c) becomes insolvent, is adjudicated a bankrupt, voluntarily files or permits the filing of a petition in bankruptcy, makes an assignment for the benefit of creditors, seeks any similar relief under any bankruptcy laws or related statutes or a receiver is appointed for its assets, then all sums due or to become due from Buyer to Seller, may at Seller’s sole option, become immediately due and payable, and concurrently, or in the alternative, Seller may, at its sole option, terminate any existing order(s) between the Parties and exercise any other remedies available to Seller under applicable law. 12. Specifications: If Buyer provides any specifications or designs for products, Buyer will indemnify and hold harmless the Seller Indemnified Parties for all claims, losses, costs and expenses (including without limitation attorneys’ fees and disbursements) from any patent, trademark or copyright infringement claim resulting from compliance with these specifications and designs. Seller will not be responsible for the accuracy or suitability of these specifications and designs or the performance of any products built in conformance with them. 13. Costs and Expenses; Indemnification: Buyer will be responsible for all costs and expenses, including without limitation attorneys’ fees and disbursements, incurred by Seller in enforcing any term or condition in these Terms and Buyer will indemnify and hold harmless and promptly reimburse Seller for such costs and expenses. If Seller is made a defendant in any proceeding, action or arbitration by Buyer, any person or entity deriving title from Buyer or any other third party on the basis of breach of warranty, negligence, strict liability, tort or any other theory, and if no award or judgment is made or rendered against Seller, Buyer will indemnify and hold harmless the Seller Indemnified Parties from all costs and expenses incurred by any of them in connection with such proceeding, action or arbitration, including without limitation reasonable attorneys’ fees and disbursements. 14. Cancellation: Any contract or order may be cancelled by Buyer only with the prior written consent of Seller and upon reimbursement to Seller for all costs, expenses and losses incurred by Seller as a result of such cancellation, including without limitation a reasonable profit and overhead. 15. Governing Law; Language; Jurisdiction; Venue: Seller’s quotation, invoice, these Terms and Seller’s order acknowledgment are governed by and must be construed according to the laws of the State of New York, without reference to the principles of conflicts of law. The Parties expressly disclaim the application of the United Nations Convention on the International Sale of Goods. The language of this Agreement is English, and any translation of this Agreement will have no legal effect. Each of the Parties hereby irrevocably and unconditionally (a) consents to submit to the exclusive jurisdiction of the United States District Court for the Western District of New York or the applicable state court located in the State of New York, County of Erie for any action or proceeding arising out of or relating to the sale of Seller’s products to Buyer, (b) waives any objection to the laying of venue of any such action or proceeding in such courts and (c) waives and agrees not to plead or claim in any such court that any such action or proceeding brought in any such court has been brought in an inconvenient forum. 16. Entire Agreement; Amendment; Waiver: Seller’s quotation, invoice, these Terms and Seller’s order acknowledgement constitute the entire agreement between the Parties with respect to the sale of Seller’s products to Buyer, superseding all prior representations, agreements or understandings, written or oral, between the Parties with respect to such sale. These Terms cannot be amended orally or by any course of conduct by either Party, but may only be amended by a written agreement executed by the Parties. The failure by Seller to (a) enforce any provision hereof will not be construed as a waiver of such provision or of Seller’s right to enforce such provision and (b) object to provisions contained in any purchase order or other communication from Buyer will not be construed as a waiver of these Terms nor an acceptance of any such Buyer provisions. 17. Successors and Assigns; Assignment: These Terms will be binding upon the Parties and their respective successors and assigns; provided, however, that Buyer shall not assign any of its rights or duties hereunder without Seller’s prior written consent, which consent may be withheld in Seller’s sole discretion.